Choose sides and fight along Iron Man in this Captain America: Civil War Deluxe War Machine Child Costume. 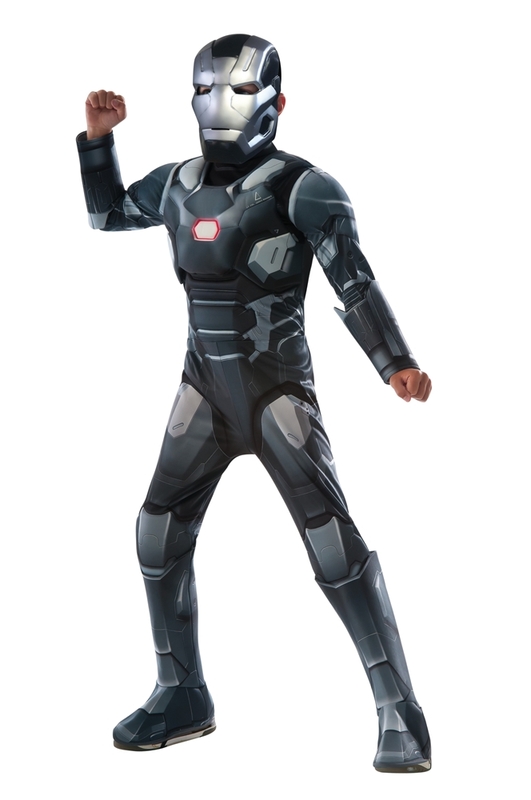 The 2-piece deluxe child costume is modeled after War Machine's character in Captain America: Civil War. The gray jumpsuit features a padded muscle chest with attached 3D gauntlets and boot tops. The jumpsuit is detailed with printed panels and armor like War Machine's. The all gray mask has a silver front with eye and mouth cutouts for visibility and breathing. An elastic band with velcro patch secures the mask while you try to take down Captain America. Form your own Avengers with this child cosplay costume this Halloween, Comic Con, or at superhero-themed parties.